Typically, to create ceramic dental restorations–from a permanent tooth, a crown, onlay, and veneers–patients must return to the office several times to prepare the damaged tooth, take an impression, and have a temporary restoration installed until the permanent one is ready. deme, however, is pleased to offer CEREC, a system for the fabrication of all ceramic dental restorations-in one office visit. This time-effective system also means fewer injections and less drilling. Ceramic restorations have the advantage of strength and appropriate color-matching to appear indistinguishable from your natural set of teeth. Moreover, ceramic materials closely match the composition of natural tooth structure, which means that when you eat hot food and then drink something cold, the restoration and tooth expand and contract at almost equal rates–which is to say, no cracking. The ceramic restoration is chemically bonded to your tooth, so your dentist at deme can save as much healthy tooth tissue as possible while providing you with a dental restoration that strengthens your tooth. 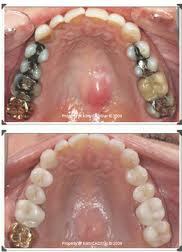 At deme, our dentists also deploy CEREC for more than just crowns and fillings. 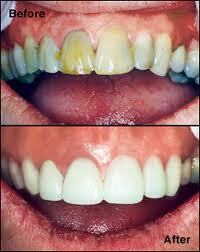 Chipped or discolored front teeth can be repaired with color-matched CEREC porcelain anterior crowns or veneers. Contact demė - dental care in Philadelphia, PA to schedule your CEREC - ceramic dental restoration consultation appointment today. We are happy to help our patients who come to us from Philadelphia and the suburbs, Delaware, South Jersey, Wilmington, King of Prussia, Doylestown, Cherry Hill, Bucks County, Lehigh Valley, Allentown, Bethlehem, West Chester, Main Line, Montgomery County.